Phenomenons of synchronicity like the triple mirror hour 05:55 often prompt us to ask questions. This is especially true when they appear before us regularly, and there are many reasons that they may do so. Actually, this hour is a way for our subconscious mind to communicate with our conscious mind. Furthermore, according to the Swiss psychiatrist Carl Jung, it is possible for two unconnected events to have significance for the person who notices them. By showing you the triple mirror hour 05:55 regularly, the universe is trying to tell you that a great change will occur in your life, but you shouldn’t see this as something either positive or negative as all changes depend on life’s flow. This hour could be an answer to your prayers so keep your thoughts fixed on happiness and your mind always at peace. To gain a detailed and more complete understanding of this special hour's significance, however, you should cast your eyes towards numerology and an interpretation of the guardian angels. 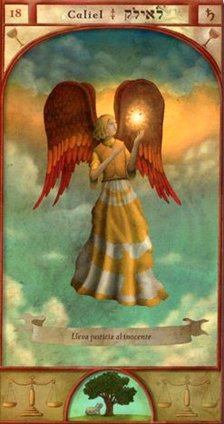 When associated with the triple mirror hour 05:55 the guardian angel Caliel represents divine justice and truth. He prioritizes absolute truth in the realm of justice, while at the same time protecting you from slander. This guardian angel will help you to identify what is just and to grasp the connection between good and evil to allow you to celebrate the laws of the divine. Under his protection you will have an unassailable and righteous sense of judgment. This guardian angel is your patron and protector and is using the mirror hour 05:55 to let you know that he is able to remove all doubts from your mind in order to replace them with love and integrity. He will also give you valuable support against adversity all while keeping you from difficult and unclear situations as well as any obscure challenges you may face. Caliel is using the mirror hour 05:55 to inform you that he will keep people away who use justice for their own material wealth as well as people who just want to fight others and take things for themselves. He will also protect you from unlawful proceedings, from pretense, malpractice, altercations, abject behavior, and inaccurate pieces of evidence. If you are the victim of an accusation he will be of vital support. As the guardian angel of absolute truth and divine justice, Caliel is also trying to tell you that he will help you in your work. You know how to distinguish good from evil which will thereby allow you to take the best decisions for your career. He will also give you clairvoyance and benevolence to allow you to respect the rules that come with living life in a society. Through this triple mirror hour the guardian angel is also letting you know that he will provide help in your constant quest for honesty and loyalty. If you are a judge or a magistrate, or if you are studying law he will be an undisputed source of help. He wants you to breathe justice into everything you do. 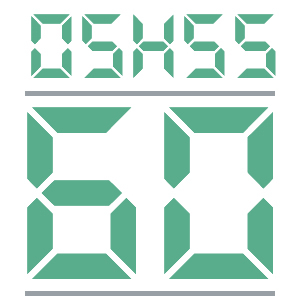 What does 05:55 mean in Numerology? The number 60 heralds love, harmony, achievement, and a sense of perfection. 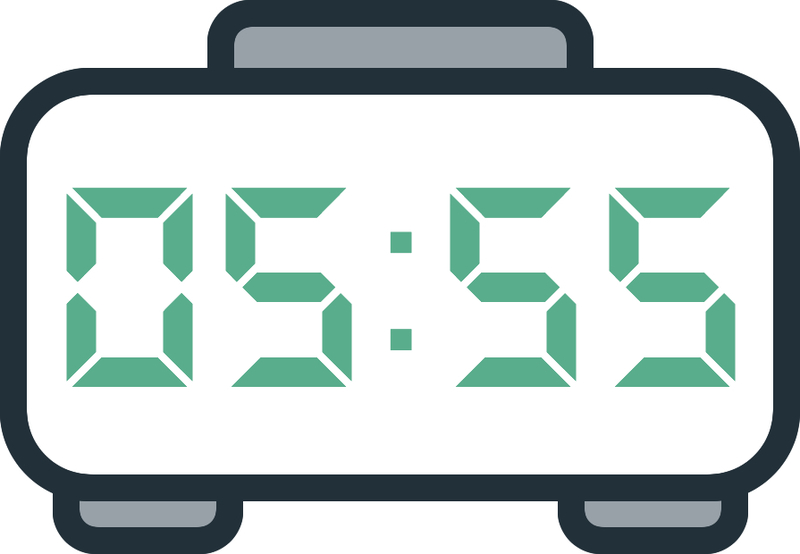 When related to the mirror hour 05:55, an hour that you’ve seen on a regular basis, the number is reminding you that you are a pacifist by nature. You find your fulfillment by putting yourself at the service of others and you are capable of sacrificing yourself for your peers. You are a caring person and you enjoy working towards resolving all kinds of complicated situations. The angelic numerology of the number 60 heralds that you will have a lot of success in your work but to truly succeed you will need to demonstrate effort and force of will. You are the kind of person who needs movement and change in your life. You always strive for revival to allow you to escape from a difficult situation. At the same time your emotionality will be put to a severe test; you need to control it in order to avoid making a bad choice. To succeed, make use of your bravery, your clairvoyance, and your energy. Through the triple mirror hour 05:55 the angel number 60 indicates that within your family you provide help to those close to you and that you are able to go to great lengths to meet their every need. You are loving, gentle, and friendly to those you love. You enjoy gratitude and feeling useful. For you, the love which others hold for you is essential. You are a very good partner and an astounding parent. The number 60 inspires balance, independence, and harmony. You are influenced by this number which makes you a responsible and trustworthy person but you also enjoy the finer things in life like stimulating debates, traveling, etc. You also enjoy comfort which shows in the places that you choose to spend your life: both your home and your office. The numerology of this number asks you not to seek perfection too much as this could become toxic by stopping you from taking action, stopping you from expressing yourself, or stopping you from making decisions. You should rid yourself of your inferiority complex and your constant sense of guilt as these will always push you to want to offer more than you are able. Any comment on the 05:55 mirror hour? I thank you once again from the bottom of my heart. Each day is marvelous how guided i am by you my lovely beloved ones!!! I love you, i thank you and i hold you in my heart each second of the day!! !